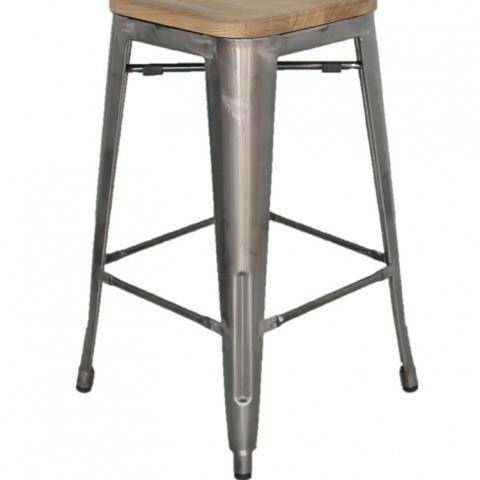 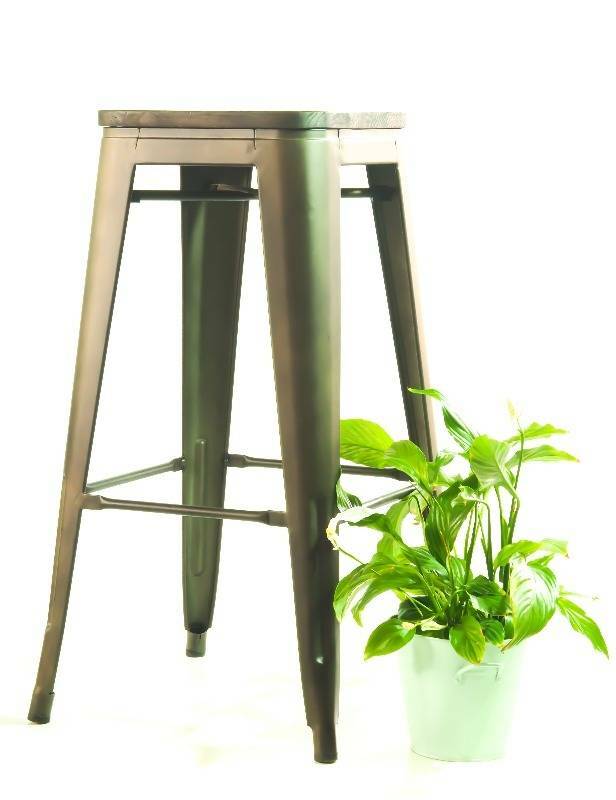 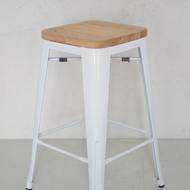 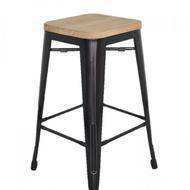 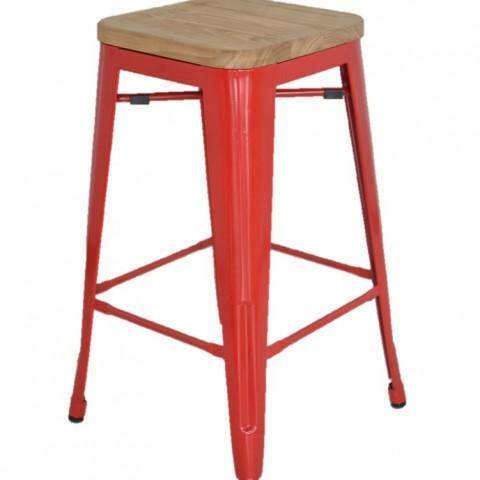 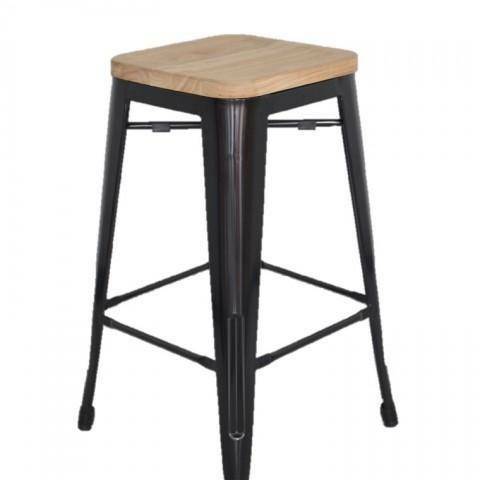 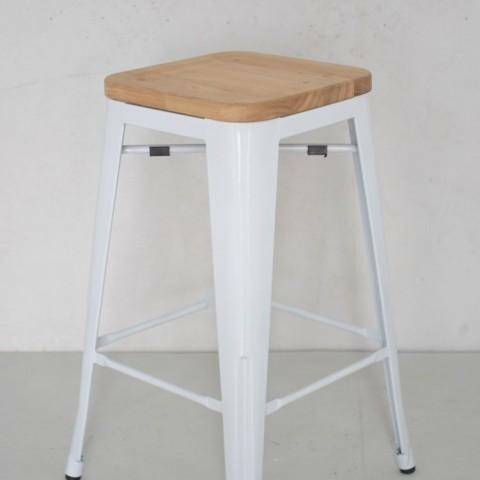 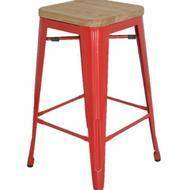 Barstool tolix with wooden seat and rolled metal frame. Suitable for restaurants, cafes, bars, pubs and private homes. 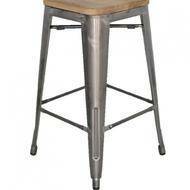 Available in customers choice of colour.